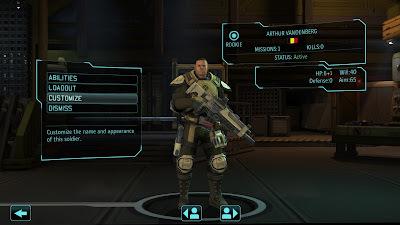 The Blog of Thog: XCOM Enemy Unknown replay - get involved! I'm currently giving XCOM a bit of a replay, mainly because I haven't got XCOM 2 right now. For the uninitiated, XCOM sets you in charge of a base funded by governments across the world to defend Earth against alien attack. To this end, you have to send squads of highly trained soldiers to intercept alien landings all over the place, with the aim of spreading their extraterrestrial innards across floors, roads, and anything else you want. One of my chaps is firing an assault rifle through a door at the top of an aliens head as it hides behind a counter. Amazingly, he misses. It's a remake of a much older game, X-Com, which was an absolute classic and has been brought back to life by various fan projects, most impressively by OpenXcom. 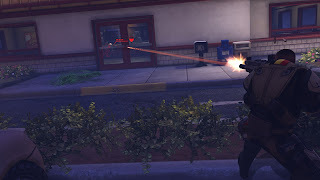 Indeed, I did a series of blogs 2 years ago about a playthrough of OpenXcom - well worth a read, if only to discover the cowardness of Colonel Simon. Part 4 - The Final Victory! 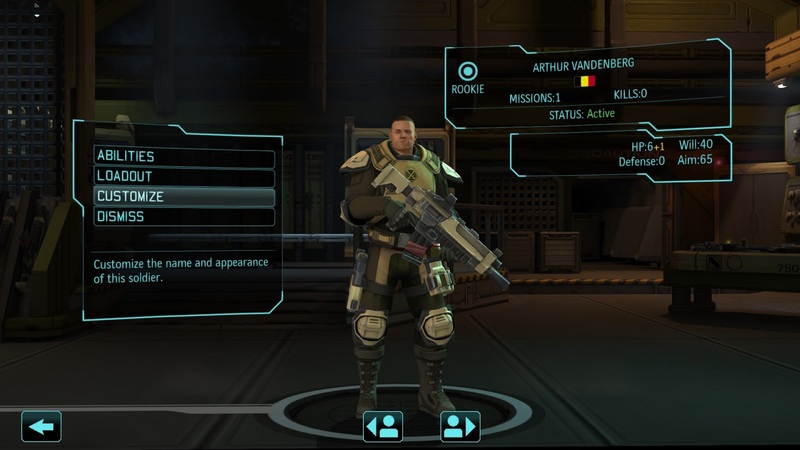 Anyway, I've decided to have a fresh playthrough of XCOM, and blog about the adventure we have. This is what we're dealing with. Naked bald monsters with green guns that annoyingly fall into pieces when you shoot their owner. Having had enough of shooting through doors and over the tops of kitchen counters, our hero changes tactic and walks around the counter. for an easier shot. Anyway, with this playthrough, you can get involved (if you wish). You see, each of your soldiers is customisable. Like Arthur here. Arthur, for example, could be given a much cooler name. Anything else I should know about your character. I'll rename a character to yours, and they'll be included in progress updates as the game goes on. So don't delay, drop me a comment below with your character! First come first served (I don't have infinite soldiers to customise) so if you're late yours might be the reserve guy who makes the coffee while the real heroes save the planet. When I clicked on the link I was expecting it to be the original XCOM: Enemy Unknown. I still go back to that to play it, though struggle to do that well. Being able to create a personality for your soldiers is very much the biggest attraction of the original too! Is that a console game?